Dr. Nicholas Perricone, writing for Oprah Winfrey's O magazine, names bean sprouts as one of the top 10 most nutritious foods in the world. When you think of bean sprouts, you're probably thinking of mung bean sprouts, which the West Virginia University Extension says is the bean type most commonly used for sprouting. North Carolina State University reports that such beans have been sprouted for centuries. Add a handful to a sandwich or entree and you'll get a dose of several vitamins. For statistical purposes, all stated nutritional values are based off raw sprouts. The values will change if you cook them. A cup of bean sprouts hold 13.7 mg of vitamin C, reports the United States Department of Agriculture's national nutrient database. This antioxidant comes in the form of ascorbic acid. Bean sprouts have very high levels of vitamin A, reports North Carolina State University, with a vitamin density similar to other vegetables like asparagus. Eat a cup of sprouts, and the United States Department of Agriculture states you'll get 22 international units of the vitamin in the form of beta and alpha carotene. Trace levels of several B-complex vitamins can be found. Niacin, or vitamin B3, acts as the most represented B vitamin with a per-cup amount of just 0.779 mg, according to the United States Department of Agriculture. The next most represented B-vitamin is pantothenic acid, or vitamin B5, at 0.395 mg. You'll also find minuscule amounts of thiamin, riboflavin and vitamin B6. You'll consume approximately 0.1 mg of vitamin E every time you eat a cup of bean sprouts, notes the United States Department of Agriculture. This antioxidant comes in the form of alpha-tocopherol. 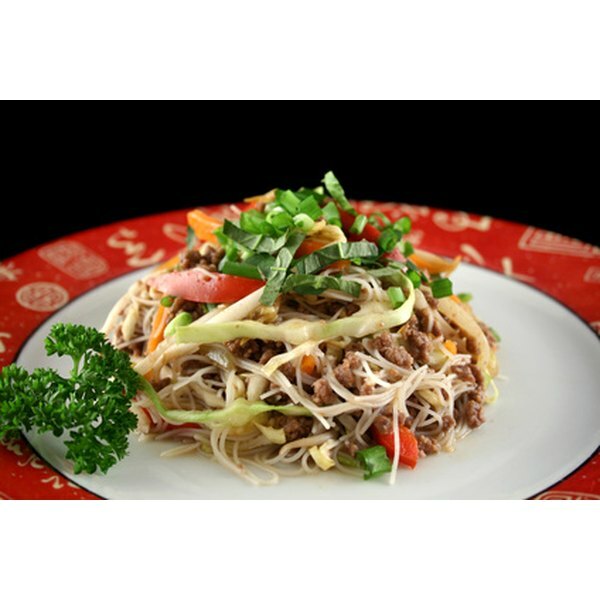 A cup of bean sprouts holds a large amount of vitamin K in the form of phylloquinone. Every cup eaten nets you 34.3 mcg, reports the United States Department of Agriculture. You'll get 15 mg of choline when you down a cup of bean sprouts, according to the United States Department of Agriculture.